Everything you need to know about hair extensions at Perfections. Hair extensions are the life blood of our salon. We have researched, applied and perfected our technique over decades of experience. We continue to stay up to date with new trends and technology as well as ensuring that we offer the best methods which optimize great quality and value. 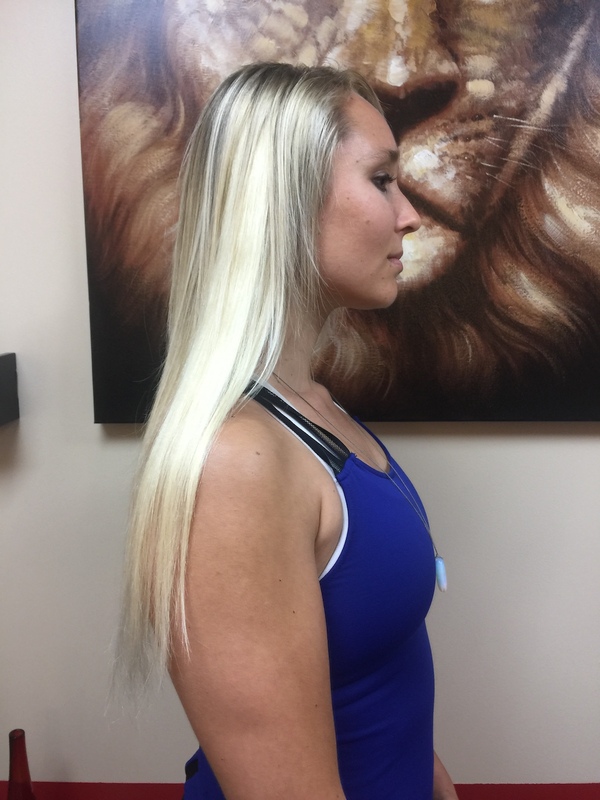 While hair extensions may seem confusing with lots of proprietary jargon that is hard to navigate through, we’ve attempted to simplify them as much as possible by breaking down everything you need to know into four categories–the collection or set type, the method used to apply the extensions, the hair amount used in the extension application and the hair size or length of hair applied in the extension application. At Perfections, we currently offer three collections. Series is our standard collection. Series is a collection of appointments designed to optimize the use of the extension hair to its maximum. During an extension consultation, you will meet with a stylist or consultant to walk you through the appointment frequency and schedule as well as make the decision to pay upfront for the whole series or commit to paying during each scheduled application. One is a collection of just one single appointment of our very best hair offering. The One collection allows the client the option of choosing hair extensions as a short term solution. During the consultation, the client and stylist will agree upon the duration of the collection and schedule when the client is to come back to have the hair removed. Select is the third collection which offers specials on our hair extensions. This offering is based on specific hair we have in stock that we have selected for a period of time to offer under this special category. Select collections include two applications regardless of which method is selected and also include hair removal at the end of the collection. One of the major differentiating factors of hair extensions is the type of method that is used to install them into your hair. There are many different ways to install extensions, some that have been around for a while, and some that are much newer to the scene. We have settled on three specific methods that we feel provide the best service treatments while maintaining the integrity of your natural hair. Fuse Extensions, more commonly known as Fusion extensions, is a strand by strand method that fuses small pieces of extension hair to equally small pieces of your natural hair through the use of heat and a keratin bond or the use of metal links and a cold pressing tool. This method of applying extensions has become infamous for the ability to immediately add fullness or length that remains durable over a long period of time. There is a lot of mixed information on the web and in salons on whether fusion extensions are damaging to one’s natural hair or not. Any type of augmentation or manipulation of your hair can cause damage to your natural hair due to negligence, especially during installation, if the extensions are left in too long, or if the extensions are not given thorough care and adequately maintained. Though fusion extensions may not be known for helping natural hair growth, they also won’t discourage it as long as they are correctly applied and suggested maintenance is regarded. Blend Extensions, more commonly referred to as Tape extensions, describe service treatments that blend the extension hair with your natural hair by attaching hair extensions on seamless wefts with a strong bonding tape while sandwiching your natural hair in between. This method is a favorite to those who have fine or thin hair and want to add lightweight and discreet hair length and volume. Because of its lightweight application, the extensions won’t pull out or break your natural hair as long as the extensions are properly maintained and removed during the recommended times. Blend extensions have grown in popularity due to the short time it takes to install and remove them providing a great option for semi-permanent extensions. Weave Extensions, or more commonly known as Sew-Ins, are a popular form of extensions because of the ability to completely tuck away your natural hair while still showcasing a full head of long and beautiful hair. This method consists of braiding some or all of the natural hair as a base, then wefted extension hair is sewn on top for length or volume while keeping your natural hair completely protected. 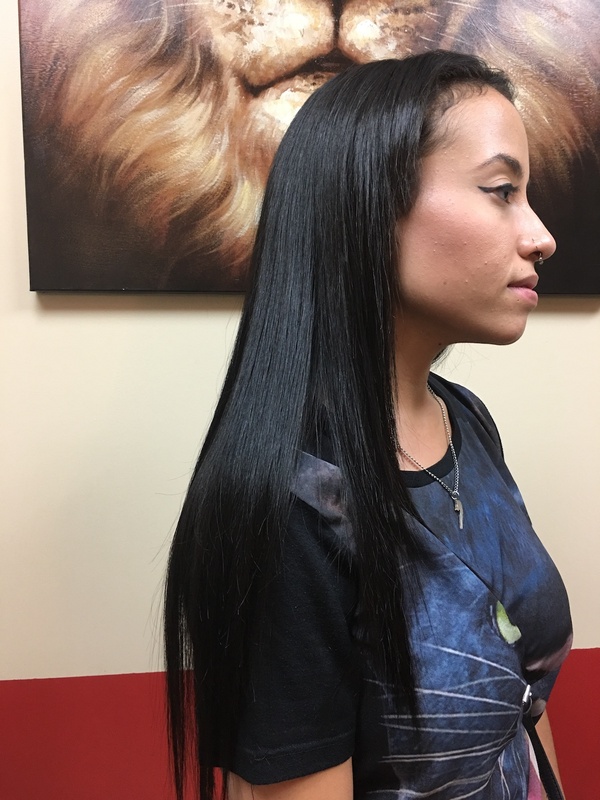 These sew-in extensions come in multiple variations including a partial where some natural hair is left out unbraided and a natural part weave where the weave is sewn to allow your natural part on your scalp to show. Hair Weaves are especially popular because of the versatility it brings to your hairstyling options. Ever wanted to try a new color but afraid to commit to your natural hair? Or you always wanted to see what your hair would be like short, but don’t want to risk cutting your own hair? Though most people choose sew-ins because it brings instant length to their hair, there are many reasons that hair weaving is a great choice for hair flexibility. Not only does it keep your natural hair unaltered, it allows it much needed rest from excessive manipulation. A weave can be a great protective style that allows for rest from heat and processes to your natural hair while also encouraging hair growth. If applied and cared for with the correct amount of tension and maintenance for both the natural and extension hair, hair weaves becomes easily one of the healthiest extension choices available. How do I know how much extension hair I need? As the name implies, the Volume service offering focuses on adding enough extensions to your hair to achieve the fullness that you desire. We don’t like to put a number on how many pieces or strands as it’s different for each person. Typically though, you can expect up to about 20-25 grams of hair to be used when applying volume. Length service offering focuses on adding enough extensions to your hair to achieve more length as the name implies. 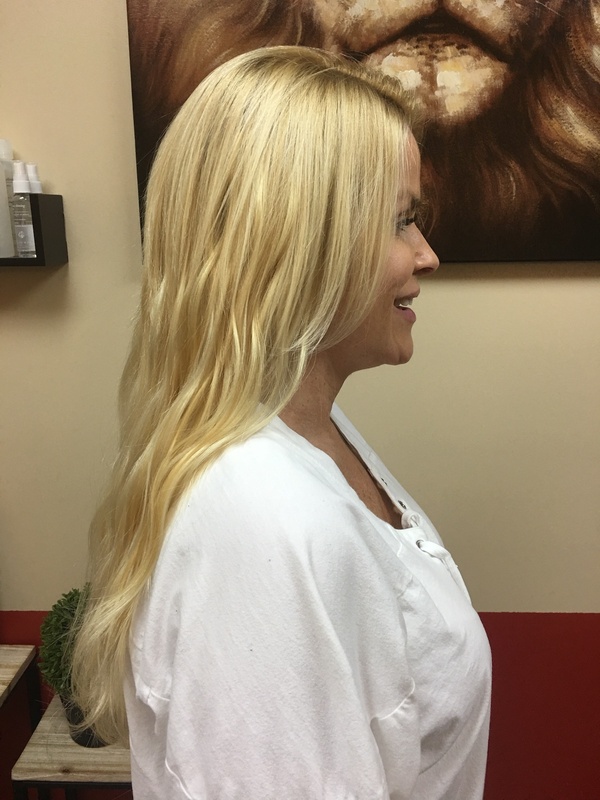 This is achieved by selecting longer hair extensions than your natural hair and applying them to optimal spots to achieve a natural and longer look. The amount of hair needed to achieve this varies greatly depending on the method selected and head size but will likely use between 60-80 grams of extension hair. Luxe service offering provides you the option to add both volume and length to your natural hair using hair extensions. If you are wanting a complete hair transformation then Luxe is the best service offering available. Because more hair is needed to blend the hair and make it look as natural as possible, expect to add upward to 120 grams of extension hair to your natural hair. Luxe+ is a service offering designed for the special cases where Luxe is just not enough! Sometimes, in order to achieve the ultimate look for extensions, even more hair is needed than what we offer in our Luxe service category so we offer Luxe+ as the maximum amount of hair extensions that can be added to your head. Expect to add upward to 200 grams of weight to your hair for the fullest extensions ever. 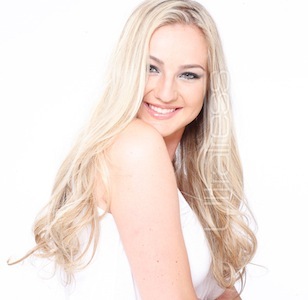 The length of extension hair or the hair size is an important factor to consider when choosing hair extensions. The hair size needed to get your desired look will directly affect the amount of hair needed as well as the method used. Though all of the methods accommodate shorter hair lengths, some are better suited for extremely long hair extensions. Also if you have longer natural hair and want to add volume, you will likely have to invest in longer hair extensions to make them blend properly. At Perfections, we don’t breakdown cost of hair lengths like most places. It may be common to see payment structures based upon the length in inches of the extension hair. We want to make selecting your hair extensions as seamless as possible, so we do not up-charge for longer lengths within our standard hair offerings. So if you desire hair extensions up to 20” long, the price will stay the same and you won’t be charged extra. Hair lengths beyond 20 inches will fit into the following two categories. The “X” size category is for extension hair lengths above 20 inches and below 28 inches. If you desire hair that goes to your mid or lower back, this size category will be what you’re looking for. Please note that the curl pattern you desire (straight, wavy or deep wave) will affect how long the hair looks. So if you’re going for a deep wave look, you will need to select hair length that is longer than you would choose for straight hair to get a comparable finished length. You can always just let your stylist know how long you want your hair to be and the stylist will let you know which category it fits in. For those who desire the ultimate in hair length, we offer the “XL” size offering. XL offers extension hair lengths beyond 28 inches when available. These lengths are not as common and therefore not as accessible as the shorter lengths, especially since we only provide natural, virgin and remy hair from the top brands. Also because of the longer hair length, each hair strand takes on more weight which causes more weight to be needed to cover the same amount of area as smaller sizes. As a result, we typically only offer XL sizes with our Luxe+ service offerings. Read more about some of our top hair extension brands that we offer. Learn more about this featured product used in our Blend Extensions. Learn more about this luxury brand used in our Fuse Extensions. Learn more about this featured product used in our Fuse Extensions. Check out pictures of our stellar hair extension services such as Fuse, Blend and Weaving Extensions.